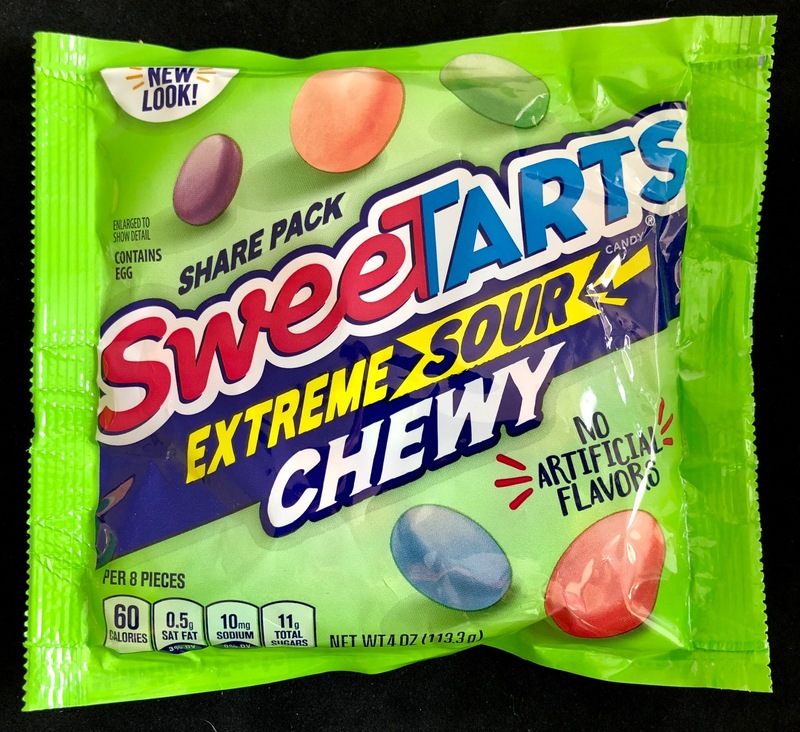 Chewy SweeTarts are totally my jam and always have been. 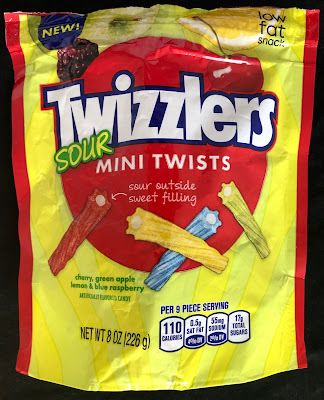 Yes, they've got the sweet and the tart mixing nicely, but the best part is how the consistency changes as you chew, breaking down to the individual sugar crystals. 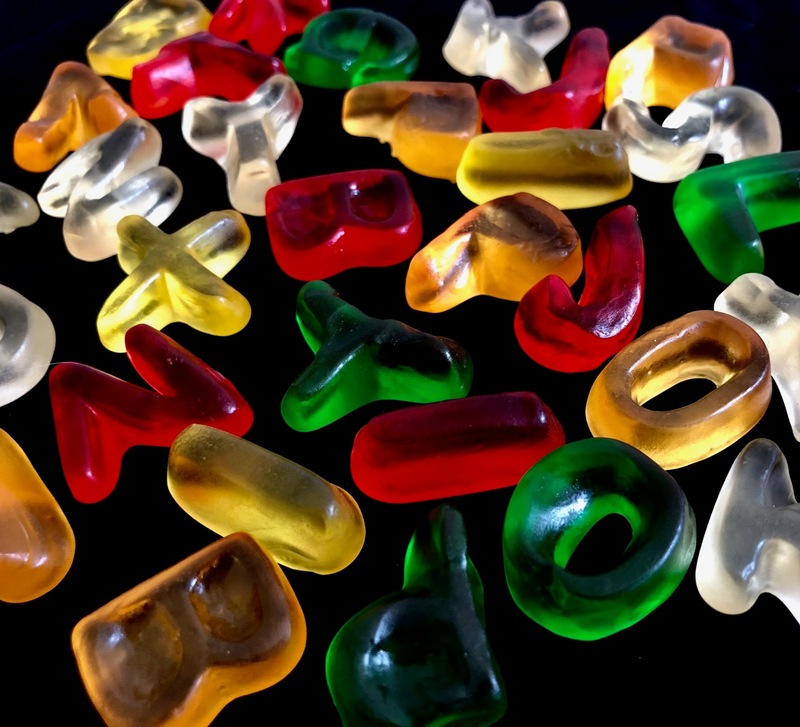 There's no other candy that dissolves quite like a Chewy SweeTart. Here's an example of the company taking a good thing and pushing it too far. 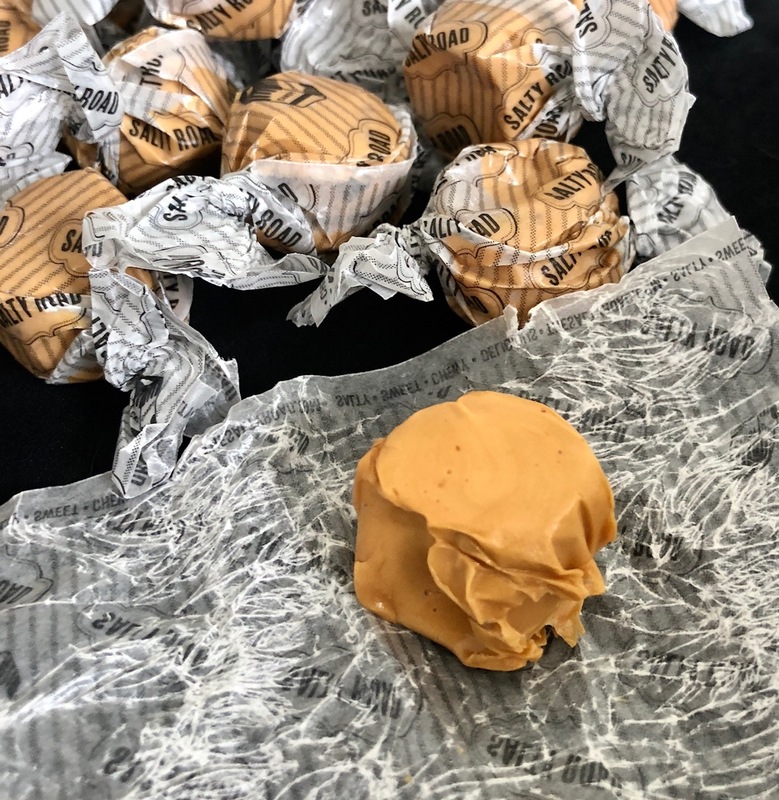 Whereas I enjoyed the sweet/tart balance of the original, here one's mouth is instantly searing and the flavor is entirely lost. 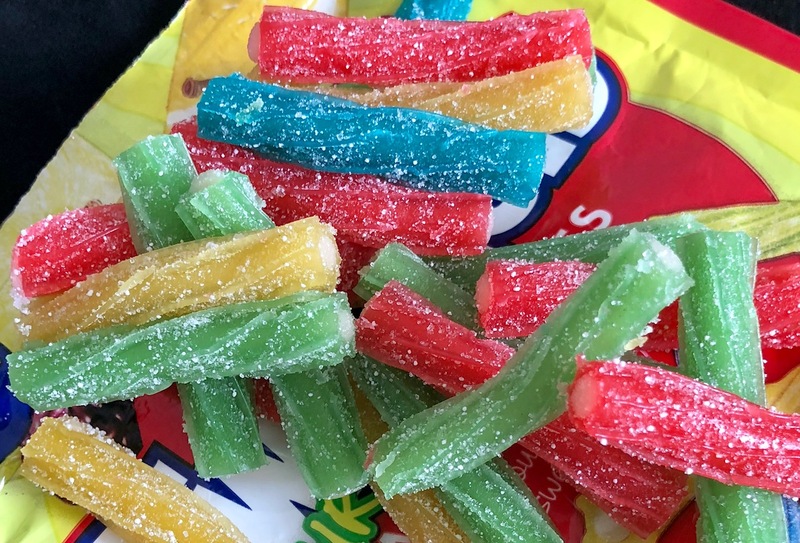 I don't mind super sour stuff, but in this case, the product was made less delicious because of it. 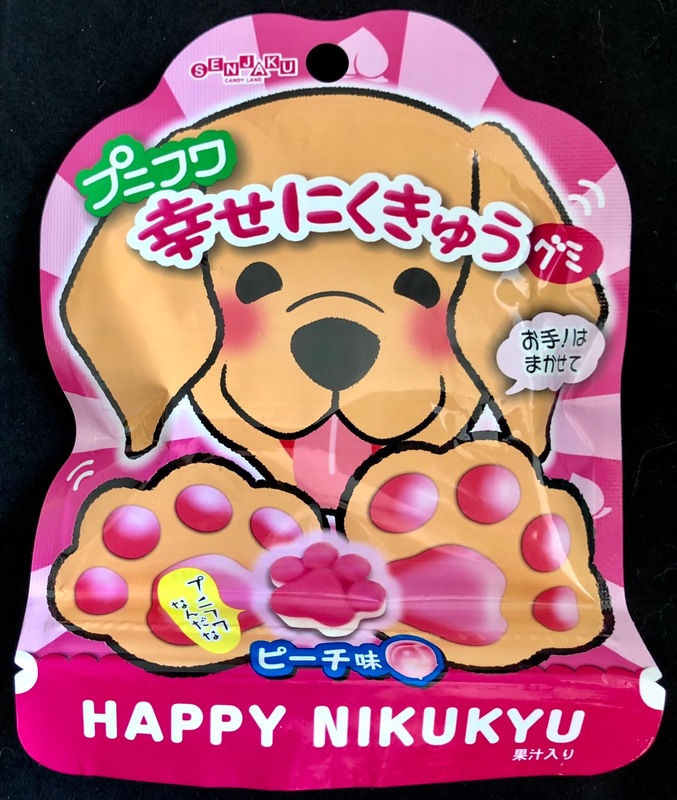 Happy Nikukyu, indeed! Who can resist these sweetly rendered, double-layer gummies that look so perfectly like my pup's paw. Rather than going for a stylized paw, this is a thoughtful reproduction. I love it! 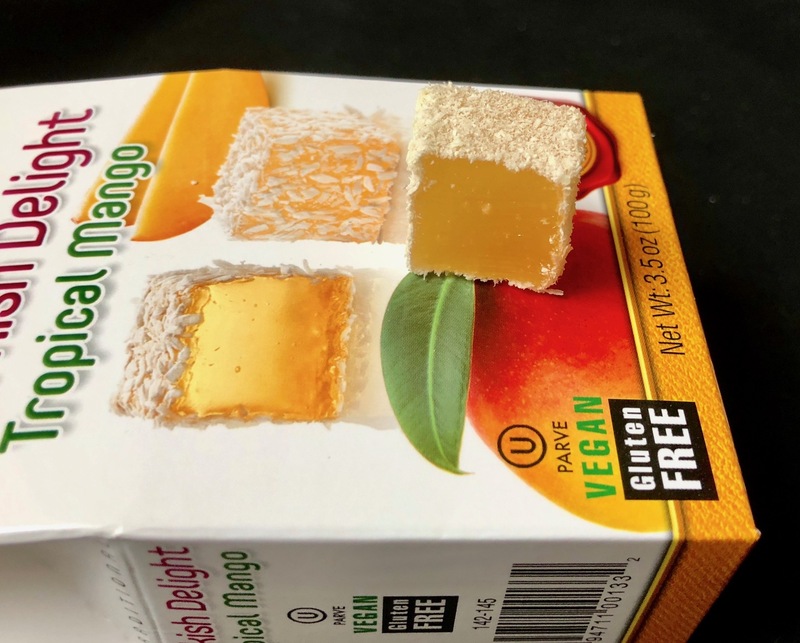 Plus the peach flavor is really juicy and robust. 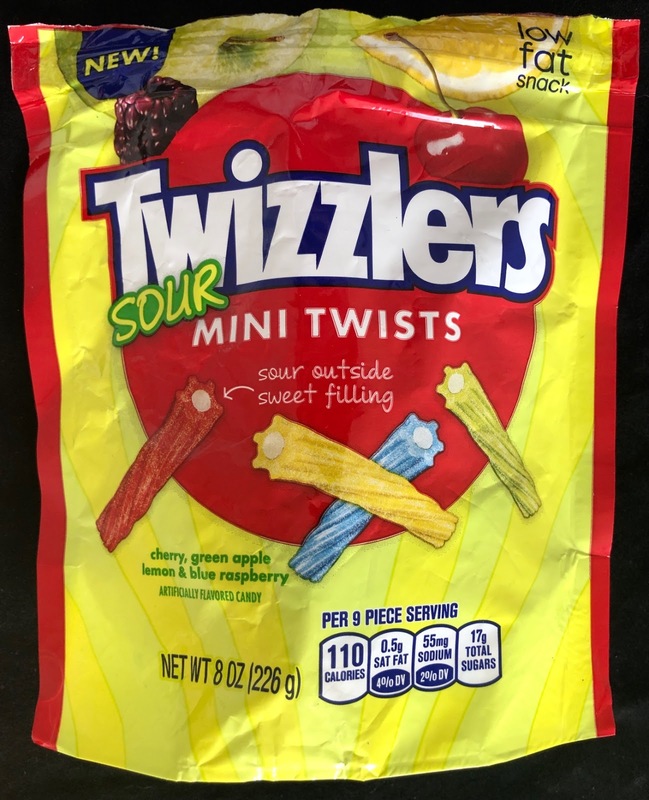 New Twizzlers Sour Mini Twists are surprisingly compelling. 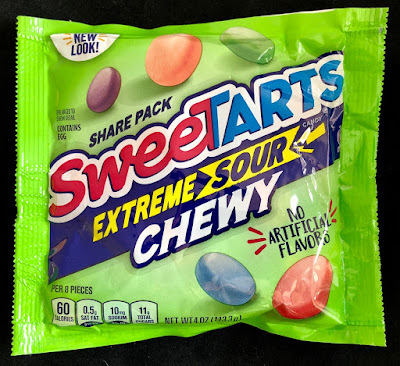 The sweet cream filling tastes like bland nothingness, but functions to mellow out the cherry, green apple, lemon, and blue raspberry flavors and sour sugar coating. 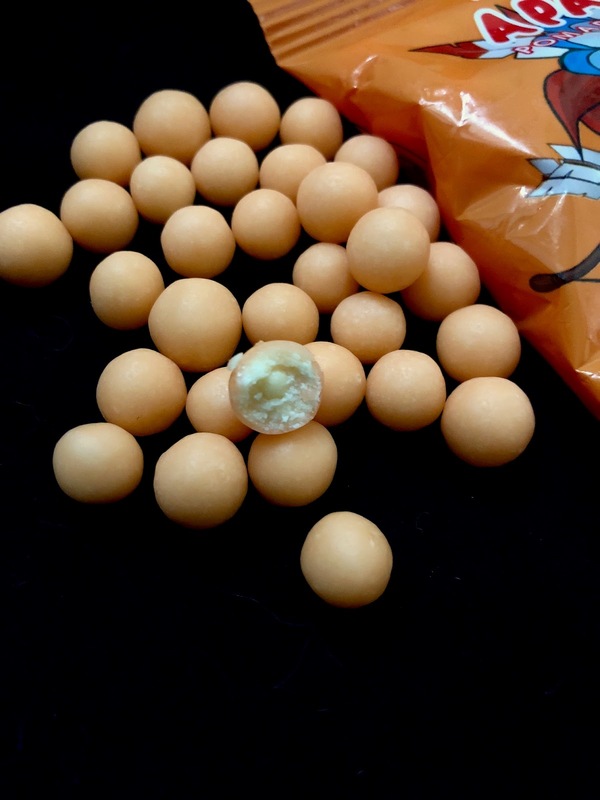 The consistency is really soft and the short length makes them so easy eat one after the other. Although I haven't found myself thinking about that as much as other candies, the bag disappeared really quickly. 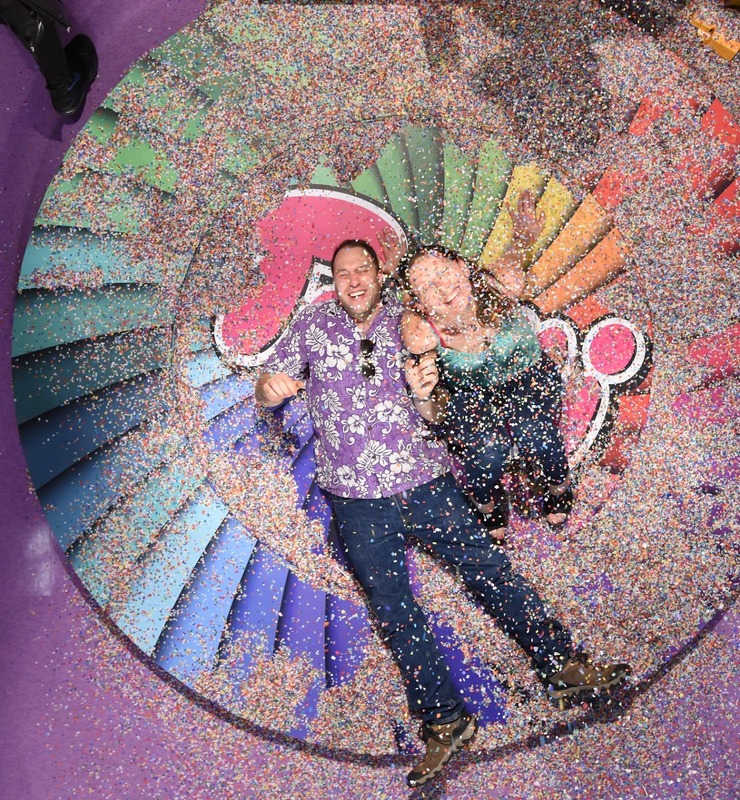 As both a sweets devotee and museum / collections professional, I was so excited to immerse in Candytopia, an interactive collaboration between an artist and chocolate-maker. What an idea! Willy Wonka come to life! 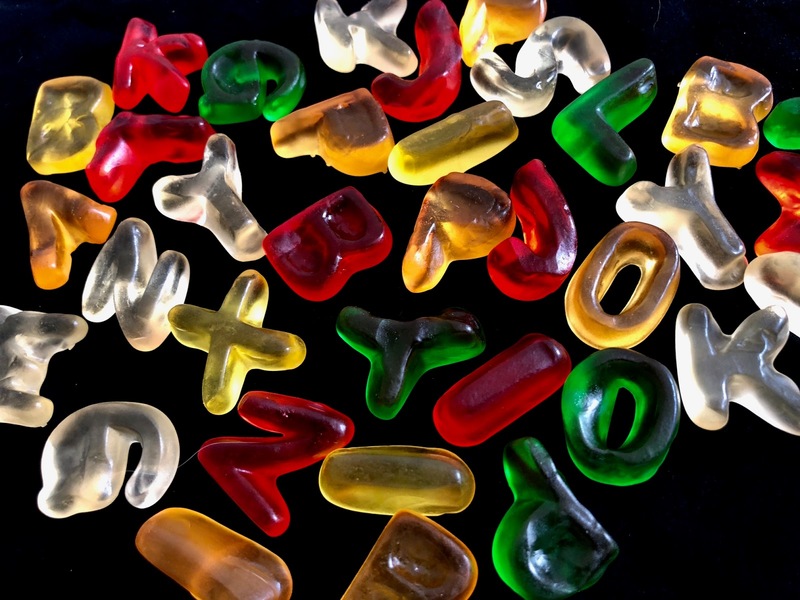 Full sugar immersion! This could be my scene! It was and it wasn't. Mark and I went in with open minds and empty bellies. Each group is ushered through the exhibit in timed groups. Below is an example of my somewhat large group. I know they have to pack people in to accommodate demand, but smaller groups would have allowed for more one-on-one time with the exhibits instead of time spent on line. The first room gets the group into the swing of things, with nice candy details added into the Wonka-like environment. The group is then ushered into a gallery of candy created from art. 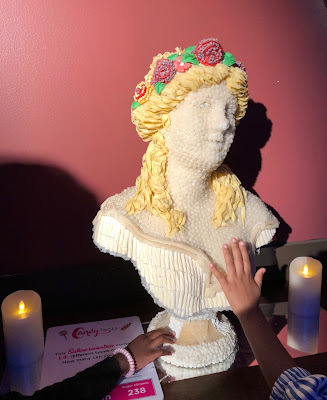 Classics rendered in sugar, with some really nice attention to detail. From the gallery, things start to get wilder. In each room people are given some candy and by the time we reached the 3-dimensional candy structures, I was not holding back with the complimentary Pixy Stix. Neither was anyone else, and the energy started to get amped. Co-reporter Mark met a candied sphinx. Then the confetti started to fly. If you're willing to wait in lines you can pose for selfies throughout the exhibit, taken by cameras (disguised as donuts) mounted to the ceiling. I have to say, this is a great photo. Until the final room--The Marshmallow Pit--I had been enjoying the idea of Candytopia but felt like there were not enough interactive elements and too much focus on photo ops. I'd rather play with something fun than stand in line to pose while pretending to play with something fun. Then I got to the marshmallow pit. As I stepped in something overcame me--tripping across these mushy fake marshmallows. It was impossible to walk normally in the pit, forcing one to swim through the pillowy pond. Something about it hit me as hysterical and I laughed until I cried as I surfed the morass of marshmallows (that's me on the back right, laughing as I tip over). Really, I don't think I've laughed that hard in ages. It was utterly delightful. I wish we were given more than 10 minutes, as I would have happily splashed around in there for a good hour. Created in Turkey, these firm square jellies capture the fresh essence of mango, and the shredded coconut coating imbues each bite with a tropical twist. 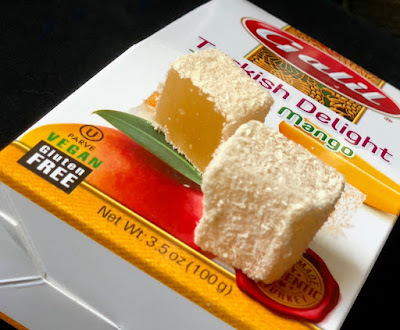 These (Vegan) Galil Tropical Mango Turkish Delight maintain the jelly consistency of traditional Turkish Delight but lighten up the dessert with tropical mango and coconut. These are delicious! Thanks, Ben and Will! 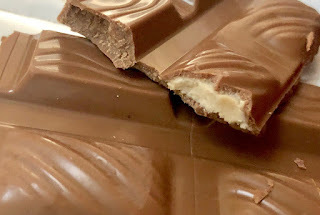 Chocolove makes some of my very favorite chocolate bars, bar none. Their chocolate is such a beautiful smooth blend and their flavors are so thoughtful, perfectly calibrated. You just know you're in good hands with a Chocolove bar. As someone who just isn't wild about coconut, I'm a biased reviewer of the new Ganache & Coconut bar. My Mother--a coconut fanatic--could give a more nuanced viewpoint. Alas, she is across the country and so I will try my best. 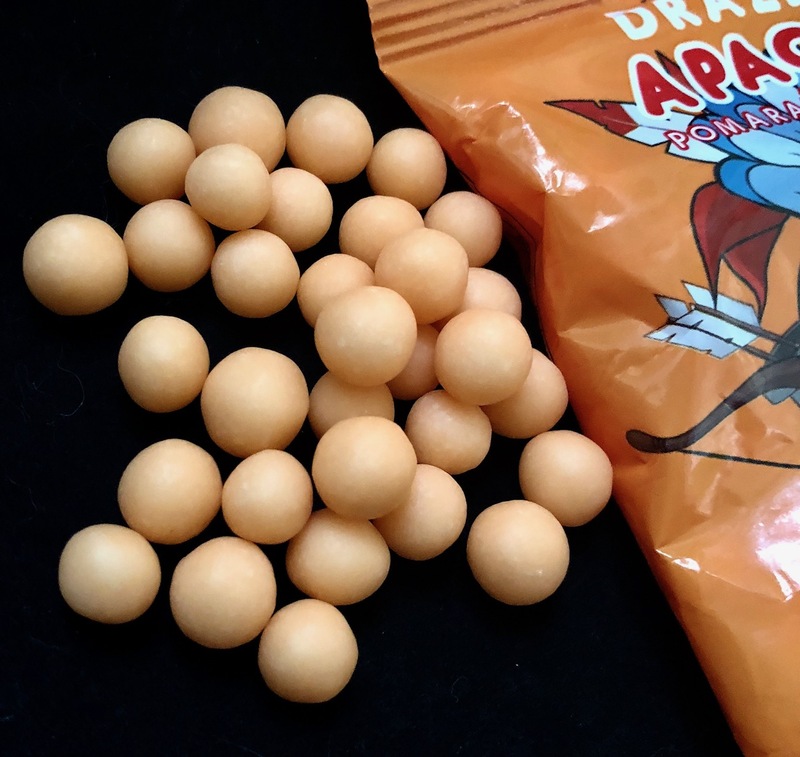 As far as coconut infused candy goes, this is great. 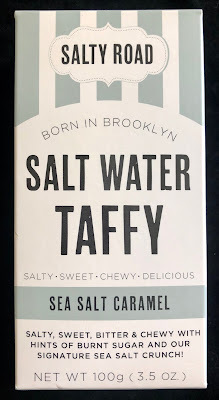 There is not a ton of sugar or filler, just a layer of beautifully toasted coconut. 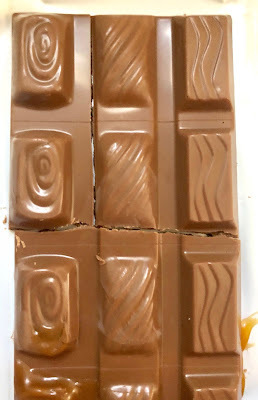 The top third of the bar consists of luxurious ganache. This is super smooth and rich, a layer of chocolate truffle to blend with each bite of coconut. 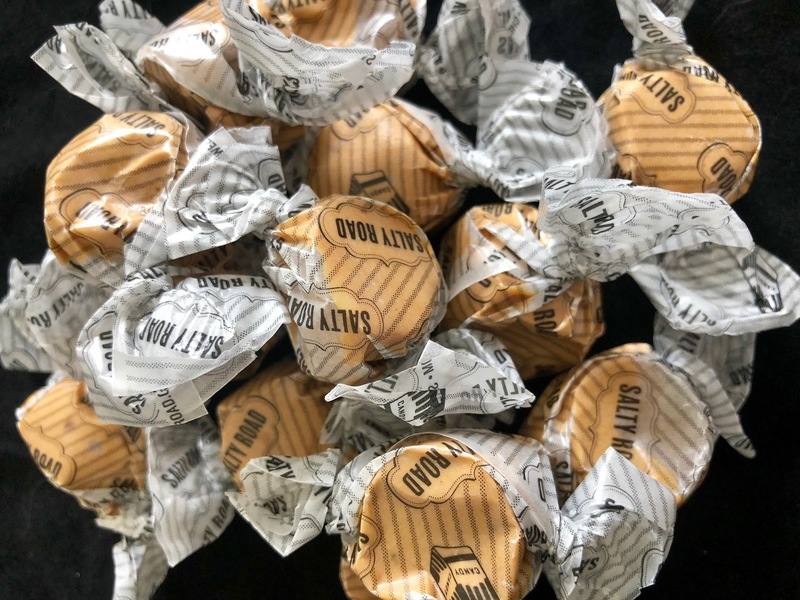 Dark chocolate coheres the whole thing, and each taste resembles a high-end truffle more than a bite of chocolate bar. 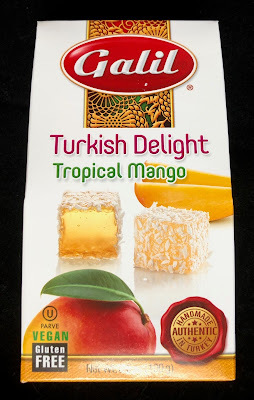 I probably wouldn't return to this bar simply because I prefer other flavors to coconut but this is one of the nicest coconut sweets I've encountered. 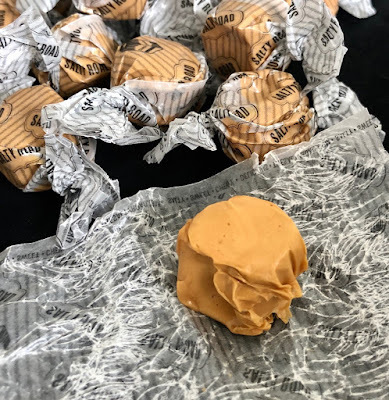 The coconut is not over-processed or saturated with sugar and the ganache is so exceedingly sumptuous. My only issue: as the photos show, a hot day will instantly melt this lovely bar since the ganache is so delicate. Unfortunately, the box is only guarded with a thin cardboard backing on three sides. 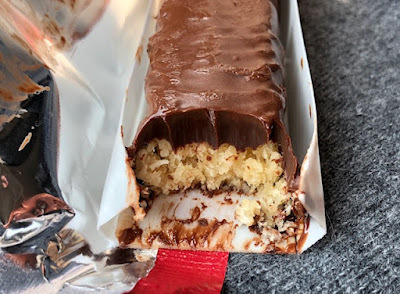 The bar was already pretty messed up by the time I could get to it, 10 minutes after purchase. I wish a more sturdy package was provided. 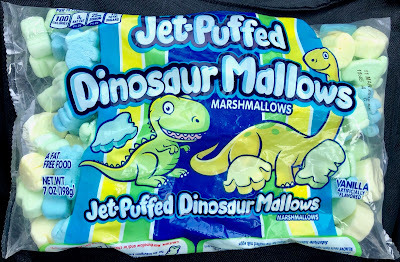 In a blind taste-test there is absolutely no difference between classic Jet-Puffed Marshmallows and Jet-Puffed Dinosaur Mallows. 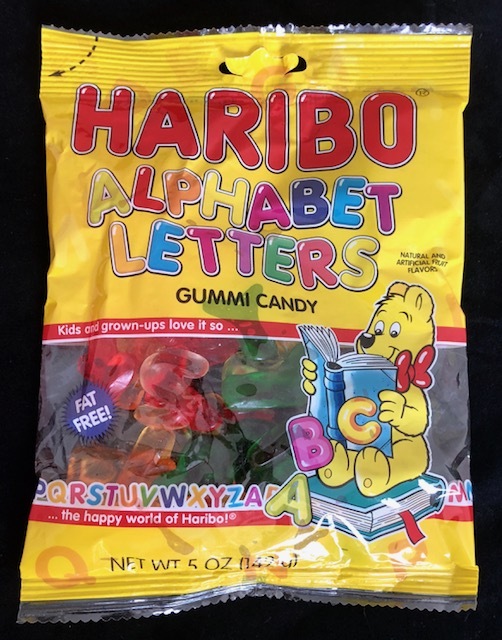 They're tasty yet not earthshaking, and you hope to get a fresher bag. This bag was super fresh. 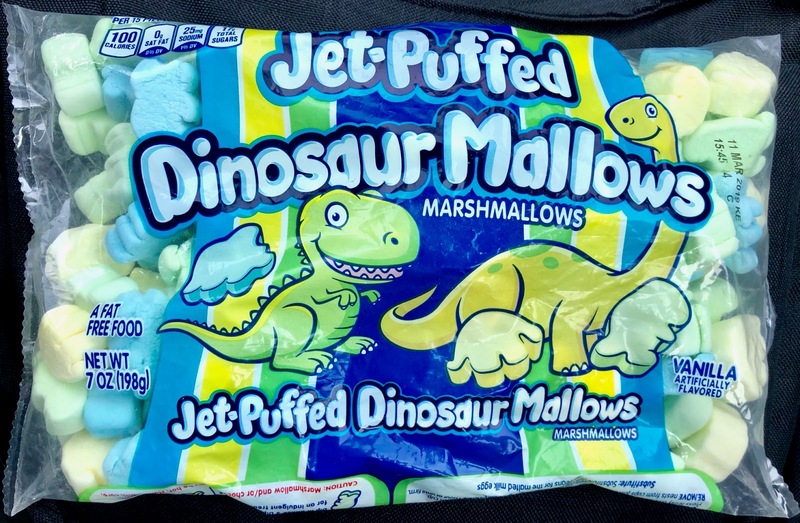 Visually, the Dinosaur Mallows are awesome. 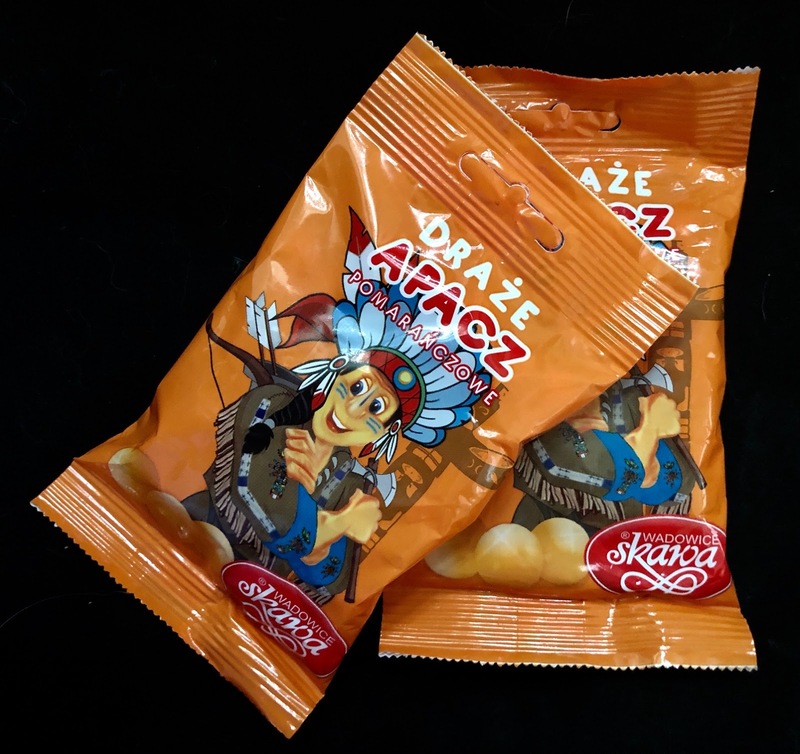 Ok, they could be a little more awesome. 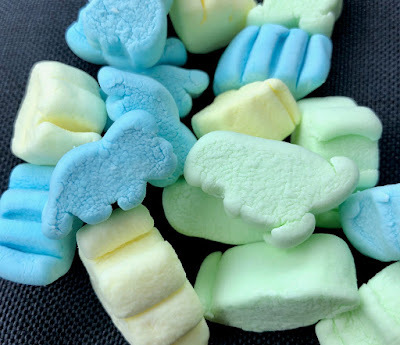 In actuality the Triceratops, Brontosaurus, and Tyrannosaurus are barely more than pleasingly hued blue, green, and yellow blobs. They're entirely pleasing, nonetheless. 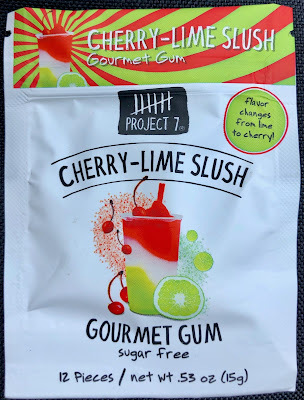 Mmm, Project 7 sugar free gum flavors are always innovative but some are far more appealing than others. 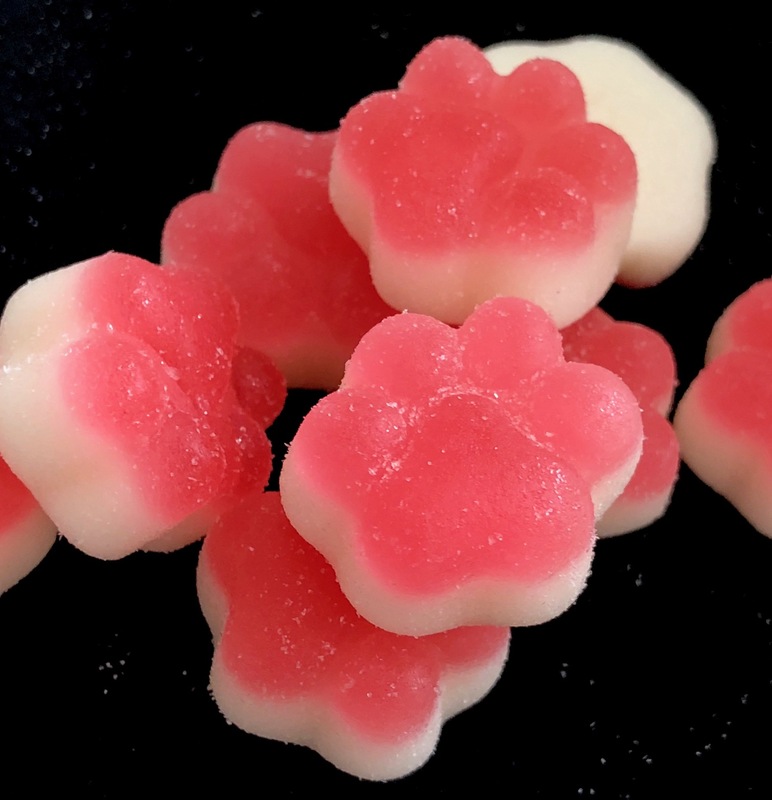 This Summer Edition Cherry Lime Slush flavor is delicious. 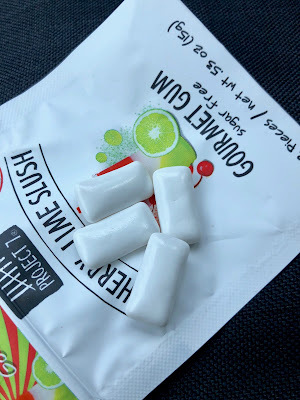 The packaging promises that the flavor changes from Lime to Cherry, a claim that I question. 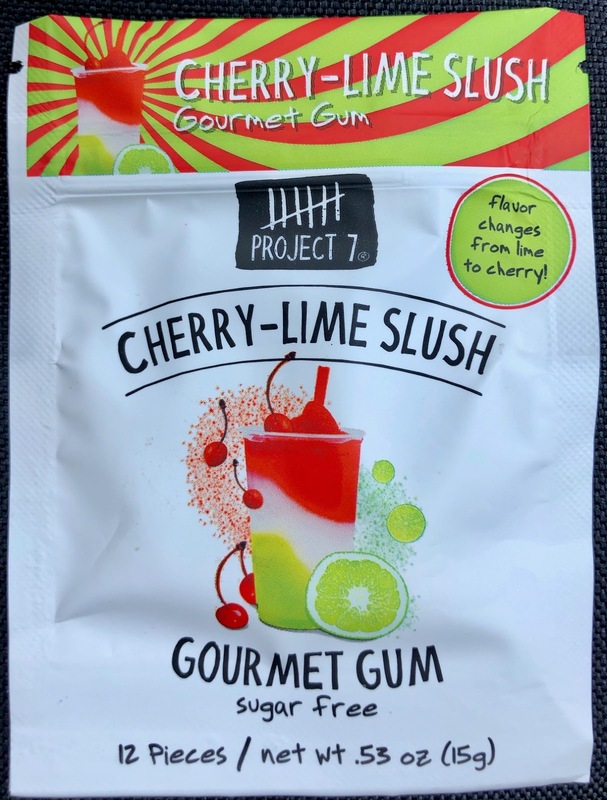 Maybe the flavor gets a little less sour so that the cherry becomes more dominant. Despite that, it's a tasty gum--well worth picking up at a local Target.